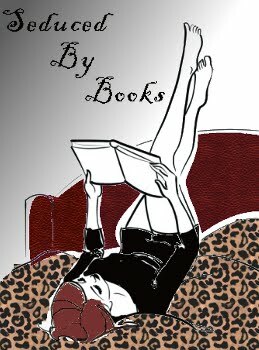 We made it over 100 'likes' on our facebook page - Seduced By Books - so Amy and I decided it was time for our FIRST contest to thank you all for joining us in our love of books and giving us your moral support. #1 - to be entered you must be a follower on our blog here - www.seducedbybooks.blogspot.com - all followers will be given 1 entry - yep that's it, just be a follower and you could win. Contest ends Friday, October 1st, 2010 at 11:59pm eastern and the winner will be announced Monday, October 4th. Our prize is going to be an Amazon Gift Card valued for $15us. This contest is open to anywhere Amazon ships and anyone who can receive the gift card via Email. Winner will be selected via random.org. We will post the name of the winner on our blog. You will have 1 week to email us at seducedbybooks at gmail dot com - we will message the winner as well through the blog. Gift card will be sent on the 8th. If we do not here from you, we will select another winner on Friday October 8th, who will have 1 week to contact us. We will only make a 2nd and if necessary 3rd selection. Comments below are welcome - letting us know your emails and total entries, but not required. Hey just found your blog and friended you here and on facebook. Cool site! Cool contest! Thanks! Just found your blog. Sounds like a cool blog for all of us with a love of or obsession for books!